*Items in yellow are important information! Eligibility is based on: DHHS official will determine eligibility based on available income, minus unreimbursed disaster related expenses. All resources except cash on hand and in back accounts will be excluded from the eligibility determination. WHO: Primary, pre-disaster residence was located in one of the impacted zip codes in Nebraska (proof that the applicant is the legal owner or lessee of the residence is required); and Primary, pre-disaster residence was destroyed or sustained major damage from the 2019 Nebraska Flood as verified by the American Red Cross. FEMA Damage Assessment Representatives will be going door to door starting Saturday, April 13th. They will have proper identification and don’t be afraid to ask for it. They are just assessing damages and will not be asking for any personal information. If you applied for assistance from FEMA, you will receive a letter in the mail or via email that explains the status of your application and how to respond. It is important to read the letter carefully. Your letter will include the amount of any assistance FEMA may provide and information on the appropriate use of disaster assistance funds. You may need to submit additional information for FEMA to continue to process your application. If you disagree with FEMA’s decision, or the amount of assistance, you may submit an appeal letter and any documents needed to support your claim, such as a contractor’s estimate for home repairs. Appeal letters and supporting documents may be submitted to FEMA by fax or mail, in person at a Disaster Recovery Center, or online if you have a FEMA online account. To set up a FEMA online account, visit www.DisasterAssistance.gov, click on “Check Status” and follow the directions. We have received word that Hall County has been included in the Individual Assistance Declaration! Other counties included Antelope, Boyd, Burt, Cuming, Hall, Howard, Madison, Nance, Pierce, Platte, and Saline. If you have not filled out the Individual Assistance form, please go to https://www.disasterassistance.gov and fill out their form. Or call 1-800-621-3362 (FEMA). They will give you a 9 digit number you will need to keep. DO NOT LOOSE! ALSO, if you did a form and it show INCOMPLETE or PENDING, CALL it in. They will complete the application for you. They can not keep up with follow up calls to get all of these completed, but will if you call in. Central Nebraska Humane Society will be handing out FREE dog and cat food. They have a lot of donated food given to them for fur flood victims. Come to the City Hall 108 W. 10th Street on Wednesday, April 17th from 5-7. *Hall County Extension has Moisture Meters available to check out. Call (308) 385-5088 or stop by the office at 3180 W Highway 34 (College Park building), Grand Island NE, 68801. Office hours are M-F, 8:30 am to 5:00 pm, CT.
Nebraska Extension is pleased to have moisture meters available for homeowners to borrow from local Extension offices as they monitor structures for moisture levels prior to rebuilding. The moisture level of structures cannot be determined by appearance or time spent drying. A calibrated moisture meter is recommended to measure the moisture content of flooded materials. Before drywall, paneling or other coverings are installed, wood should have a moisture content of less than 15 percent— less than 13 percent provides a margin for testing error. Homeowners are cautioned to ensure that their home is dry enough to rebuild. It’s common for homeowners to discover large amounts of mold in walls months after a flood because they didn’t wait for the structure to dry out before rebuilding. Take readings with a pin type meter at various locations in both the middle and edges of wood studs, bottom plates, wall sheathing and subflooring. Note that treated woods (bottom plates) can produce false readings on some meters. Note that a flooded concrete slab readily absorbs water. A wet slab can lead to flooring failure and rewetting of wood framing. The pin type moisture meter will only measure the surface moisture of concrete. trustworthy contractor inspect the structure before rebuilding. We have a couple of church groups that will be in town this weekend and are looking for cleanup work to do. If you have something you need help with, contact the clerk at 583-2066 and let them know so they can get a work list together. Don’t forget to check out your air conditioners too. The Fire Dept. does not want to be responding to fires due to the lack of inspections or replacement of Hot Water heaters, Furnaces, Air Condition units, electrical/fuse boxes, etc. damaged by the flood. Prevent it now. Your safety is our concern. There are 3 valuable links below that can assist you with any one or all of the above mentioned. FEMA app., The Grand Island Community Foundation & the Heartland United Way/Red Cross/Salvation Army. 1) fill it out, save it, and email it to me at [email protected] or 2) print it out, fill it out and get it to our office. We can also get paper copies to you – let me know. What: The Heartland United Way & Salvation Army & Central District Health Department (CDHD) > Application Assistance + Financial Assistance. When: Thursday, April 4th, 6:30 p.m.-8:00 p.m. The Wood River Resource center has closed down. BUT if you still need supplies, many things are available at 1028 S. Adams St. in Grand Island. These will be many of the same items that we had in Wood River; cleaning supplies, mops, brooms, etc. They have been donated by the Cajun Navy. If you have trouble finding it, please call Becca @ 308-370-9136. All Wood River residents should fill out the Individual Assistance form. Please go to https://www.disasterassistance.gov/ and fill out their form. Or call 1-800-621-3362 (FEMA). Everyone needs to do this whether you had MAJOR damage or MINIMAL. They will give you a 9 digit number you will need to keep. DO NOT LOOSE! These numbers will determine the amount we will be given (if given – and it’s looking positive). FEMA, NEMA & SBA, along with a few other individuals, toured the city and assessed the damage from the flood. This is your tax dollars at work. Let’s do our part to help ourselves out. The forms we had you fill out the past few days REALLY Helped! Thank you to those that did them. SOME FYI: Do not use the zip code. Use the “apply online” link. ALSO, if you did a form and it show INCOMPLETE or PENDING, CALL it in. They will complete the application for you. They can not keep up with follow up calls to get all of these completed, but will if you call in. Thanks everyone! You are all doing a great job! The Nebraska Energy Office is offering emergency assistance funds to qualifying flood victims for hvac/water heaters replacements. There is an application process. Interested individuals should contact Sharon at the Central Nebraska Community Action Program (308)745-0780. Wednesday, March 27th is last day for dumpsters. Have your stuff here by 8:00 am. No TIRES. Last call for cornstalks. If you have any that needed raked up or picked up, contact the city offices by Thursday morning. Do your part in getting the help you all deserve. The resource center up at the high school will be closing this Wednesday @ 5 p.m. If you still are in need of something now is the time to get it. There is also going to be another truck of supplies coming in today that we couldn’t get stopped. Open until 8 today. Roads in Hall County that are still impassable. As you may have heard, a Federal Disaster Declaration was approved March 21, 2019 for the State of Nebraska resulting from winter storms and flooding. We know that recovery will take time, but we know that Nebraskans are resilient and together we will recover as quickly as possible. 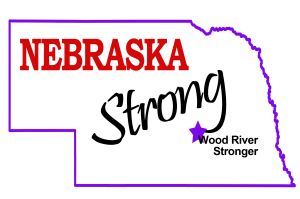 Having received the disaster declaration, Nebraskans are now eligible to apply for federal disaster assistance. While this is not an overnight process, FEMA has streamlined your ability to apply for funds. IN ALL CASES, you will want to make sure to keep written documentation of all of your claims, expenses, and take photos of damage, which will help receive financing for your claims. Municipalities – FEMA’s Public Assistance (PA) grant program provides federal assistance to government organizations and certain private nonprofit (PNP) organizations following a Presidential disaster declaration. PA provides grants to state, tribal, territorial, and local governments, and certain types of PNP organizations so that communities can quickly respond to and recover from major disasters or emergencies. 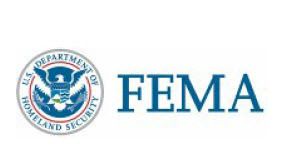 Through the program, FEMA provides supplemental federal disaster grant assistance for debris removal, life-saving emergency protective measures, and the repair, replacement, or restoration of disaster-damaged publicly-owned facilities, and the facilities of certain PNP organizations. The PA program also encourages protection of these damaged facilities from future events by providing assistance for hazard mitigation measures during the recovery process. You may qualify for FEMA assistance even if you have insurance. By law, FEMA cannot duplicate benefits for losses covered by your insurance. So, you need to file a claim with your insurance company as soon as possible. If there is a delay in your settlement, more than 30 days from the date you filed your claim, you may apply for assistance from FEMA. You will need to explain the circumstance. You must provide proof from the insurance company that you filed the claim. If you filed over the phone, you must provide the claim number, the date you applied, and an estimate of how long it may take to receive your settlement. Any funds you then get from FEMA will be an advance and must be repaid when you get your settlement. You may apply for FEMA assistance if you still have unmet disaster-caused needs after your maximum insurance settlement. FEMA will request a copy of the claim settlement record and ask you to describe what you still need. You must qualify to receive assistance. If you applied for help from FEMA because of your deductible, FEMA does not cover insurance deductibles. First Presb. Church from Hastings is interested in helping install sheetrock for those who are ready (demo complete, sanitized and dry-supplies on site). You will have to provide your own materials. They will provide the labor. They would like to be here Saturday-Sunday March 30-31, and Saturday-Sunday April 6-7. Central Nebraska Community Action Partnership has a Weatherization program that has some federal funds for repair or replacement of furnaces to eligible homeowners. Anyone interested in learning more should contact CNCAP directly at 308-745-0780. Ask for Sharon at extension 111 or Larry at extension 107.